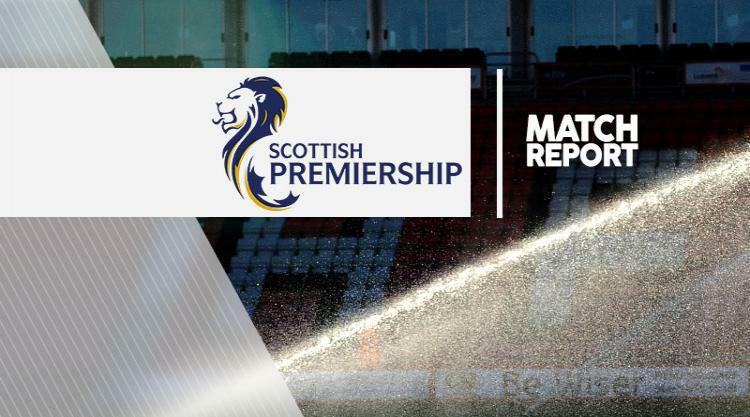 Inverness will play in Europe for the first time next season after securing third spot in the Scottish Premiership with a 1-0 victory over Dundee. John Hughes' team won in the end thanks to Edward Ofere's ninth-minute header which meant a fifth consecutive defeat for Dundee. Caley Thistle still have to play Falkirk in the Scottish Cup final later this month but the pressure could now slightly subside having made third place their own after an impressive season when many thought they might struggle instead. Dundee created the first chance in just two minutes when Luka Tankulic picked up the ball 25 yards from goal and unleashed an ambitious effort which flew narrowly past Ryan Esson's left-hand post. At the other end, Inverness threatened when Josh Meekings whipped a cross into the danger area , looking for Marley Watkins, only for Thomas Konrad to head the ball away at the expense of a corner. From the short corner which followed, Greg Tansey crossed into the middle for Ofere who planted a downward header into the bottom corner past Kyle Letheren to give the visitors the lead. It was the Nigerian's fifth league goal since signing for the Highlanders at the end of February as he continues to pay back Hughes for taking a chance on him. Dundee, though, came close to equalising on 17 minutes. Paul McGinn's cross was met by Greg Stewart's glancing header which looked to be crossing the line but, just as the home team were about to celebrate, Danny Devine got back to quell the danger with an acrobatic clearance. The hosts took a lift from that and as the half-hour mark approached, Stephen McGinn tried his luck from long distance and Esson dealt comfortably with his effort. Soon after, Jim McAlister set Stewart free inside the box but his shot from a tight angle was turned around the post by Esson. There was an ebb and flow to proceedings with Ofere breaking down the right and crossing for Watkins who got a touch, only for Letheren to foil him with a smart save at his feet. Dundee's last chance to equalise before the break came when Stewart curled a free-kick from just outside the penalty area, forcing Esson to dive and tip it wide. Within two minutes of the restart, the Dark Blues had a great chance to levelled matters. Tankulic rolled a pass into the path of McAlister but from 10 yards he shot straight at Esson with the goal at his mercy. Dundee were up in arms with what they deemed a two-footed challenge from Josh Meekings on Paul McGowan on 60 minutes, but referee Don Robertson was up with play and waved on. Then, on 79 minutes, they were denied an equaliser by a brilliant save from Esson. Skipper Kevin Thomson surged into the box and crossed for James McPake whose header looked goalbound until Esson somehow got down to palm it away one-handed.